For narrow streets and tight parking, a small car can make navigating through winding city streets a breeze. Smart provides excellent compact city cars at exceptionally affordable prices, like the ForTwo compact, a particularly agile machine. 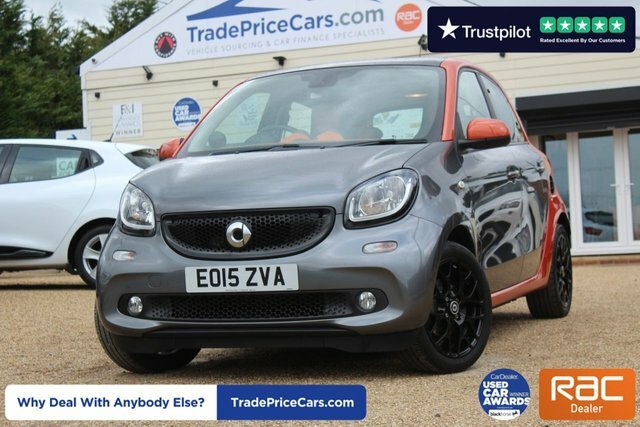 Here at Trade Price Cars, we offer some of the most advanced Smart cars in the used vehicle motor trade and we excel at finding the right finance packages for each of our customers, tailored to your monthly budget. Why not pay Trade Price Cars a visit? You can view our extensive stock and find your favourite Smart car today!